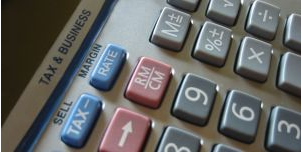 Aplia Econ Blog: News for Economics Students: How Sustainable Are High Margins? For Apple, such a strong hardware profit is par for the course, with the company having achieved margins of 45% and more in products including the iMac and iPod nano, according to iSuppli. However, because Apple is facing extensive competition in the music-phone market, the company may need to cut into its margins to reduce pricing in the future. “With a 50% gross margin, Apple is setting itself up for aggressive price declines going forward,” said Jagdish Rebello, PhD, director and principal analyst with iSuppli. But is it the case that a 50% gross margin is unsustainable? A margin is one thing, but the incentive to drop prices is governed by the elasticity of demand. In particular, the rule of thumb for pricing (also known as the Lerner Index) suggests that in order to maximize profits, Apple should set its retail price (P) so that (P - c)/P = -1/e, where c is marginal cost and e is the price elasticity of demand for the iPhone. So the figures imply that e = -1.97. What that means is that if Apple raised its price by 1%, it would stand to lose almost 2% in sales. That seems plausible. 1. Take a look at the breakdown of costs at iSuppli (click here). Do you think that all of these costs are marginal costs paid by Apple? 2. Apple has two versions of the iPhone. According to the iSuppli estimates, the 8GB version costs only $35 more to produce (the cost of additional flash memory). Apple is set to earn a gross margin—(P - c)/P—of 53.1%. Does this suggest that the 8GB iPhone has more or less price elasticity than the 4GB phone? What theory of price setting would you use to work this out? 3. As a gut reaction, what do you think the price elasticity for the iPhone will be when it first hits the shelves? What about six months from now? What could explain any difference between those two time horizons? Joshua Gans is Professor of Management (Information Economics) at the University of Melbourne. He maintains his own blog at economics.com.au. Would You Rather Receive $250 or an iPod?